Ever wondered where all the big names in the Big Apple sit for the hottest ticket town? Well, keep wondering. 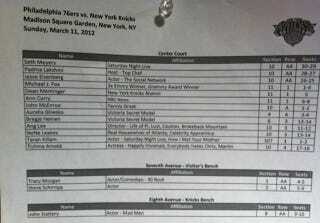 In the interim, check out this seating chart from today's Knicks game against the Philadelphia 76ers.